Looking for something to show your fur baby how much you care? If you have some old sweaters that are worn out, there are many creative ways for you to recycle and reuse them. 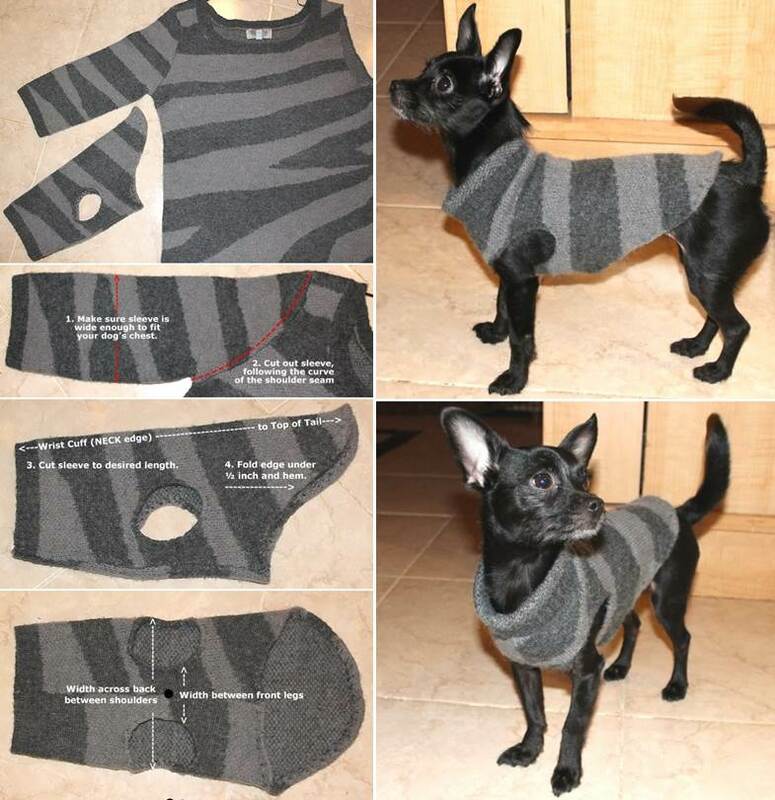 Here is a creative idea to make a dog sweater from the sleeve of an old sweater. It’s super easy to make. Just cut out the sleeve from the sweater and make a hole in the middle. It’s amazing that the sleeve is the perfect shape to fit a small dog or cat. You don’t even need any sewing. You may use an old sweater, sweatshirt or any other clothes that are made out of warm fabric. 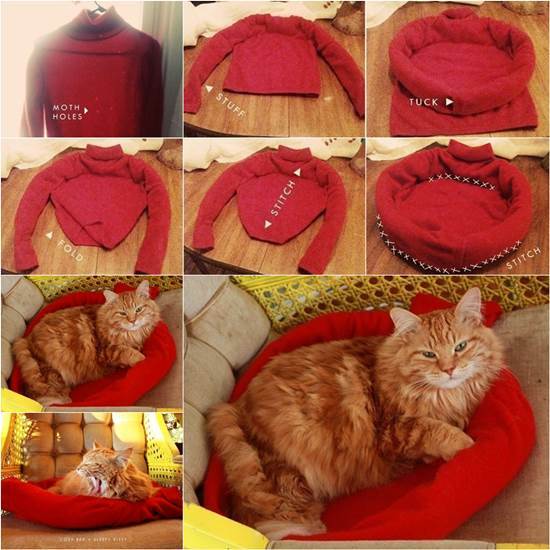 You may also like this Cozy Cat Bed Made from an Old Sweater.